The Dickins family of Market Harborough, Leicestershire and also Wellingborough, Northants (see here) and elsewhere. Some of these photographs will eventually be replaced: I have found a much better scanner, and the quality is simply astonishing, even with the tiny originals. 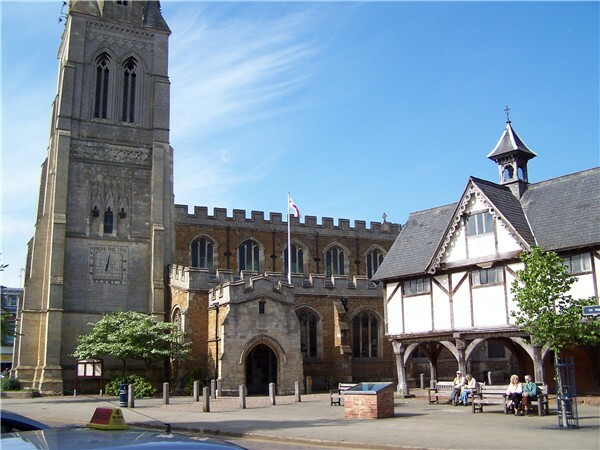 Church of St Dionysius, at centre of Market Harborough. The Old Grammar School sits beside it. 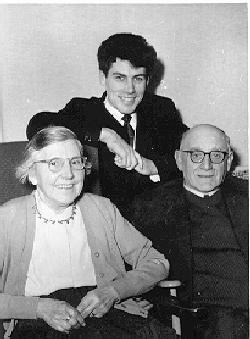 Edith (born in Nottingham, whose mother's name was Downing, 1890-1967) and Ernest Frederick Dickins (1890-1975). Their eldest sons: firstly, Kenneth Arthur (1914-1998), who married Ivy, née Falkner, who died on March 6th., 2003, found in her favourite chair by a neighbour; secondly, Geoffrey Stewart (1915-1997), whose wife (Annie) May, raised by grandparents, died March 11th., 2008. Last to arrive was Raymond Ernest (July 9th 1919-March 2nd 2009), who married Margaret, née Douglas (August 1st 1919-December 7th 2002). Below are a few images relating to the Ray and Peggy (as Margaret was known) Dickins family. I found these as I was beginning the sorting of Raymond's belongings (two days after his death in the ICU, General Hospital, Ottawa, ON, Canada). 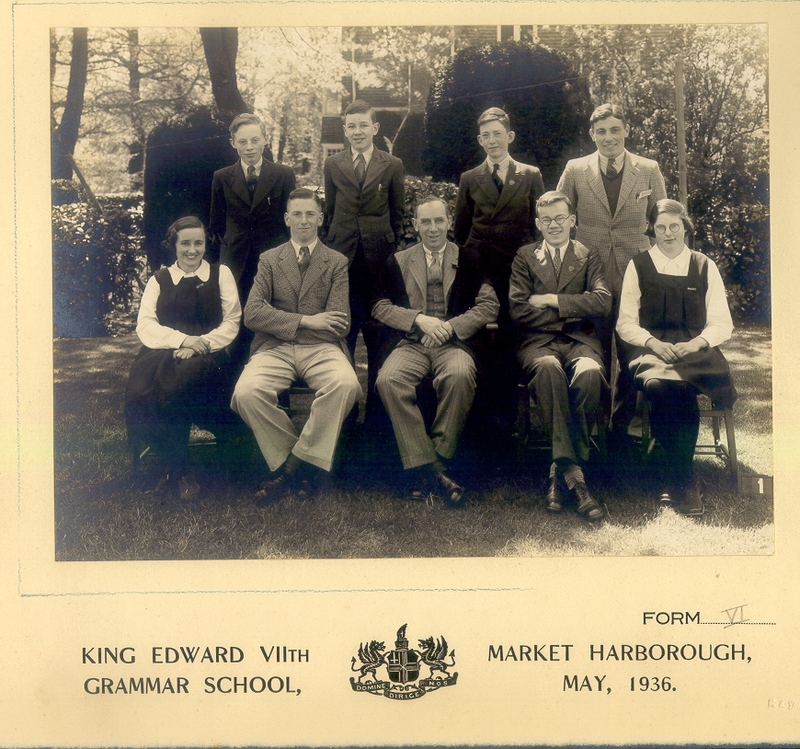 First image is Ray, on the right on the back line, when he was Victor Ludorum (head boy), at what became Market Harborough Grammar School. There are five boxed Macmillan books from that period, one of the complete Shakespeare and four of Dickens, that relate to prizes he won at school, including the London Matriculation. 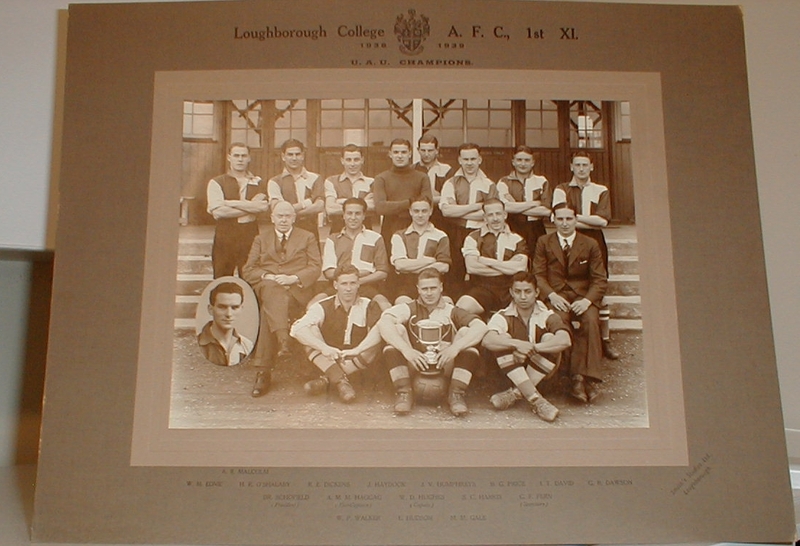 The second image is Raymond in the UAU Championship 1938-39 winning side, where he is third from left in the back line. He was left-half in a 6-4 win at the University of Aberystwyth. The third photo is one of the whole mounted item, with the title and players almost legible. Naturally, Dad's surname is spelt incorrectly! Fourth and fifth images are of Ray and Peggy's marriage, Belfast, NI, 1941. The two people accompanying them in the fifth photograph are, I discovered, David Thomas McKeown and Margaret McKeown, who were, I believe, Peggy's cousins. 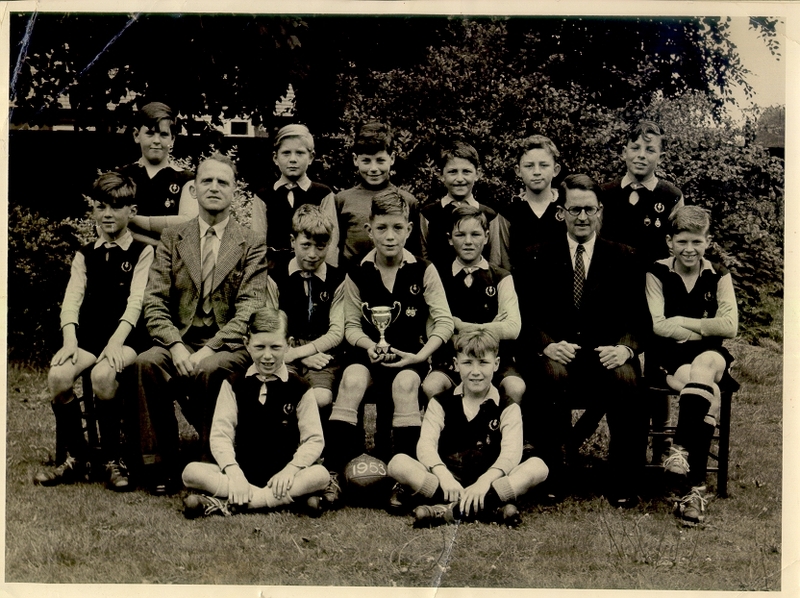 The bottom line is of Paul in a cup-winning side for Little Bowden County Primary School, probably 1952-53 season; second is a photo of Paul and Lynn in 1959, and on the right is Peggy on the same day, both at Greenmeadow Road in Northfield, Birmingham. 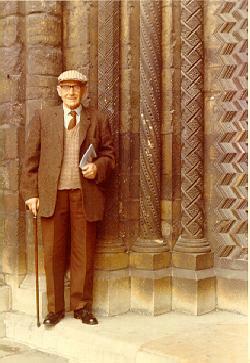 Dad taught at Edgbaston Royal School for the Deaf, in Birmingham. From the 1901 Census: Lying amongst the details for other families present on each census page, here are several versions of one file for the Dickins household at 10 Midland Cottages, namely a gif, a tiff and a pdf. All versions are large, and the original tiff files were downloaded as shown. The gifs were edited by rotating and cropping. NB: Ernest Frederick had a sister, also named Edith, who was a lay preacher, just like Grandfather. Don't confuse her with Grandfather's wife Edith, who was a Downing. Similarly, here is the same set for the Downing household at 3 Dob Hall, Gold Street, namely a gif, a tiff and another pdf. 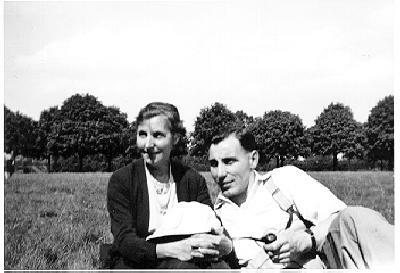 What is clear is that Edith's mother, father and brother are absent. It is quite likely that Edith's mother (as, when she was old, Edith related to my father) died in 1896, and it seems that her father and brother had by this time emigrated to Canada. I have yet to discover anything about them when they were there, although her brother did return to England. 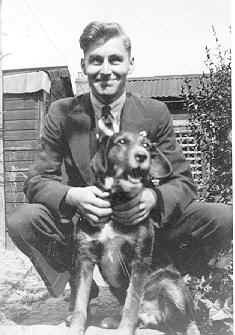 Edith and Frederick's youngest son, Raymond Ernest (1919-2009), lived lately in Ottawa. See details of the latter part of his life here. Margaret Douglas (Peggy) was his wife for 61 years. They met in Belfast, Northern Ireland in WWII and married in 1941. Here is a reason to be wary of the health system: my mother and dementia. 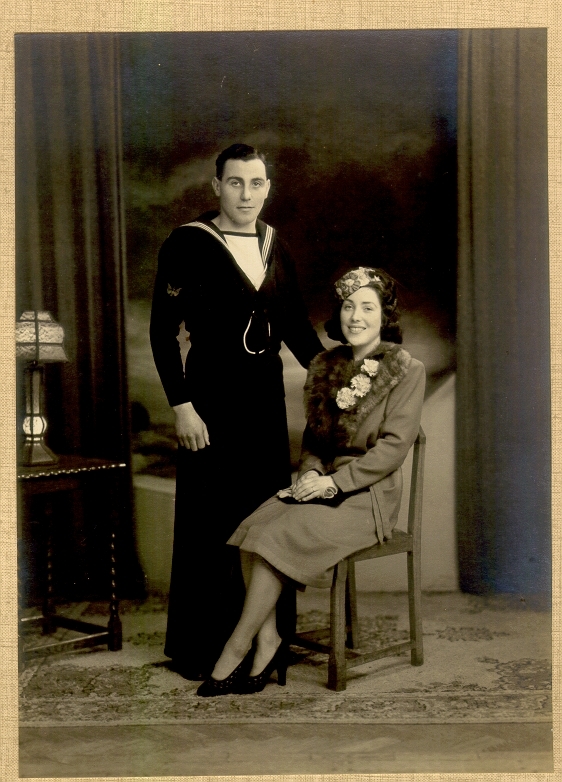 At the time of my birth Dad was a Telegraphist (he finished service as a Petty Officer) in the Royal Navy and was moved to Southampton, on the south coast of England, prior to the invasion of Normandy, in which he took part. This was where my sister Lynn was born. 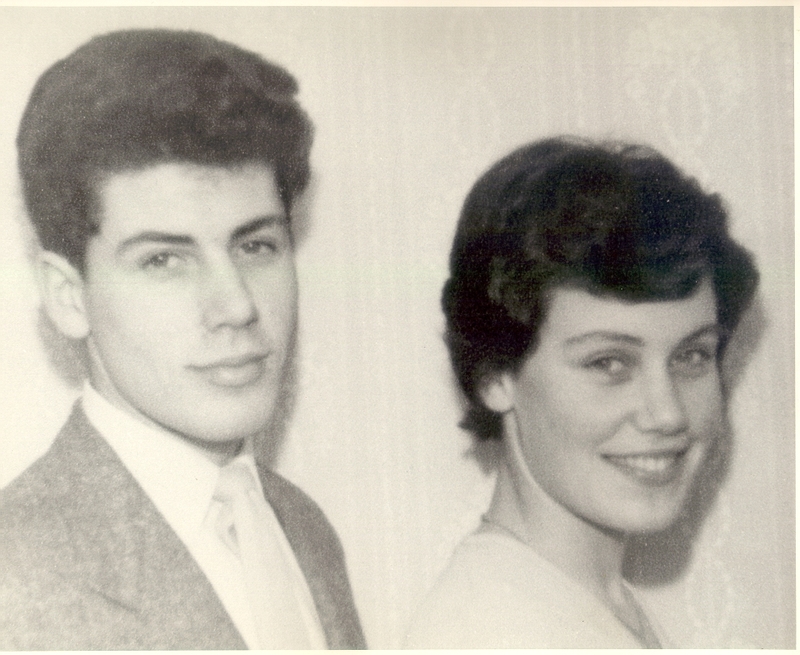 Ray and Peggy's daughter, Lynn Margaret, until she retired in 2008, and was the Deputy Head Mistress at Mount Roskill Intermediate, was born in Southampton, April 1944, and lives in Auckland, New Zealand. Lucky, lovely and highly vivacious lady! Ray and Peggy's son, Paul Raymond, born March 1942 in Belfast, and the author of these pages, lives in Ottawa, alone. 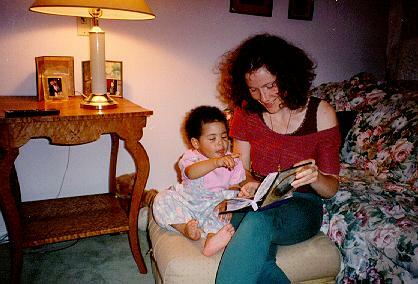 I lived, until a few years ago, with my second wife, Michelle, and second daughter, Katharine Norva Edith Dickins (those two moved to Montréal in 2000, when we separated). I have a daughter, by my first marriage to Christine Diana Munson-Barkshire, named Sarah Rachel, who lives in London, England with her husband, Prasannavira John Linney. Sarah has two daughters, Rhea Chandra Grace, born December 1st., 2007 and Phoebe Padma Joy, born April 13th, 2009, respectively. Sarah went to Gordonstoun, the same place as old Charlie Cyclops. Few schoolchildren cared for the race every morning into the cold water lake at that edifice, near Nairn, on the bleak eastern shore of Scotland. Ken & Ivy's and Geoff and May's respective family members still live in Market Harborough and Kibworth, and there is more of the family living in Wellingborough and in other places in the East Midlands. 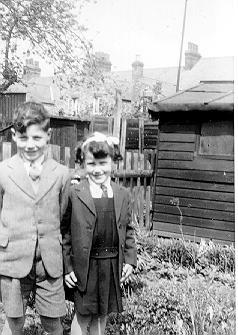 Both of Peggy's brothers, younger than she, David and George, were killed in the Second World War. None of my generation were conscripted: I, as the eldest of the three brothers' children, just missed the last postwar call up. On August 30th., 2010 I was astonished to receive an email from Jane Read, who turns out to be my father's cousin Keith's daughter. 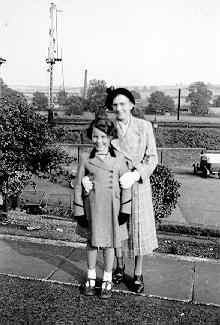 She lived in Wellingborough with my Great Aunt Edith when young, just as I lived with my Grandfather Ernest and went to Little Bowden Primary School in Market Harborough. 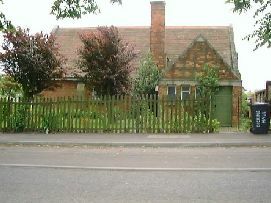 Here is Jane's Wellingborough. And other places. 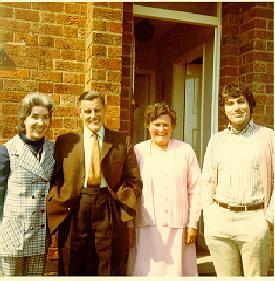 Above left: Edith Downing's maternal grandfather. If anyone knows his name, please advise. The National Archives, where I found the 1901 census details, now have available data from 1891 and 1881: one day, therefore, I will try and find some of the ancestors, and perhaps that of the bearded fellow. 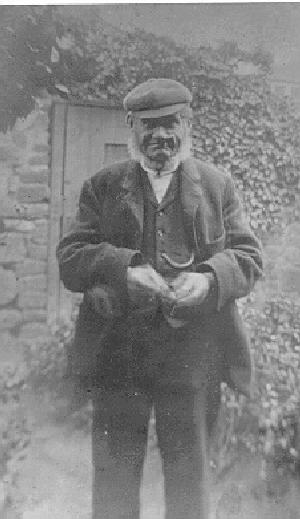 He lived somewhere in or near to Wellingborough, possibly Walgrave or Hannington. Above right: The young EFD ca 1907 with the Rechabites medallion showing (the Rechabites was a Temperance Society. I married Michelle wearing this medallion attached to one of Granddad's old silver pocket watches). Interestingly, at least for me, EFD was born in the year that Vincent van Gogh died. When looking at what, in my youth, was regarded as "avant garde" by many, including my art teachers, most 'modern art' Masters were long dead. Except Pablo Picasso, 1881-1973, of course. Grandmother Edith with Lynn, '44/5; Grandfather Ernest with Paul, '43/4. 42 Caxton Street, Market Harborough. A blonde Paul with Grandfather in Welland Park. 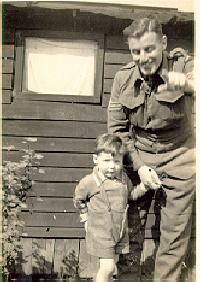 Left: Ken, just back from Burma as a Chindit, the eldest son, with Paul, '45. 1953 First year, MHGS, cap and uniform, Ken and Grandparents. 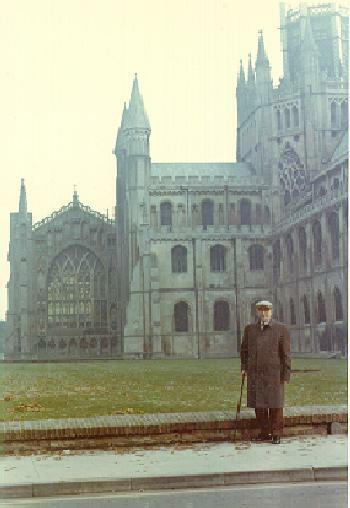 Right: Ernest Frederick, on the Cathedral tour, Ely '73. 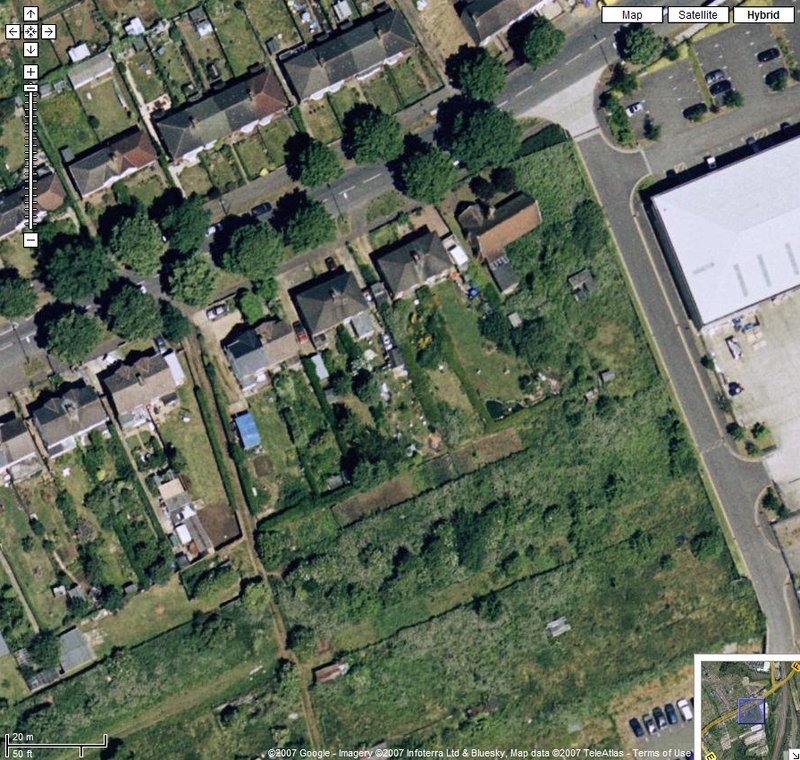 The man on the right owned the woodworking shed at the bottom of the garden on the left. There was another shed, where he kept his handcart (the two wheels of which were taken from a solid-tyred lorry) that was used to bring up the produce from his three allotments next to the Recreation Ground which lies behind Little Bowden Primary School. He, as I have mentioned elsewhere, was the foreman at Hopton's. He used to grin at me when I was astonished at his stories of being attacked when labourers were fired at paydays, at my Grandfather's behest. He said that what he had to do was stand before them, hold his fists up next to his face, knuckles outward, and bang his arms up and down until the unfortunate recipient just quit, either beaten or tired out. Ernest Frederick may have been God-fearing, but he was no fool and he was very strong mentally and physically. 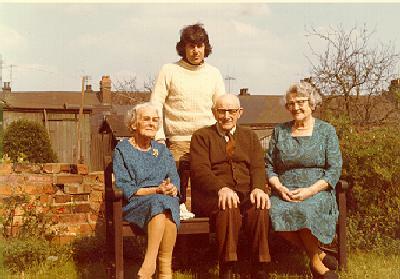 Left: EFD, with sister Edith to his left, sister-in-law, Lottie and Paul, Wellingborough, '73. Lottie was married to Harry (Hubert). Sarah, took in her nieces Edith and Ethel when they were orphaned in 1896. 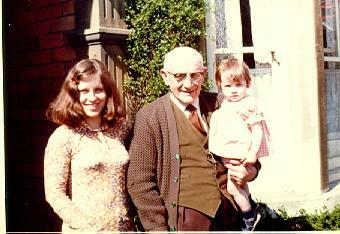 Right: Diana, EFD and Sarah, Caxton Street, '72. 1. Edith Downing: her mother, a Downing, and father were unwed. 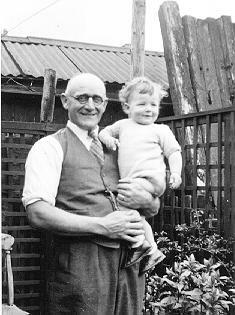 The father, with Edith's elder brother, went to Canada to find a job and never came back. This illegitimacy situation was, of course, frowned upon in those days, and Ernest's mother's attitude towards Edith was tainted by that common failing of believing that bastards were lesser people. Edith's brother James returned from Canada and was killed in Europe early in WWI. There is no known record of him at the Commonwealth War Graves Commission. 2. 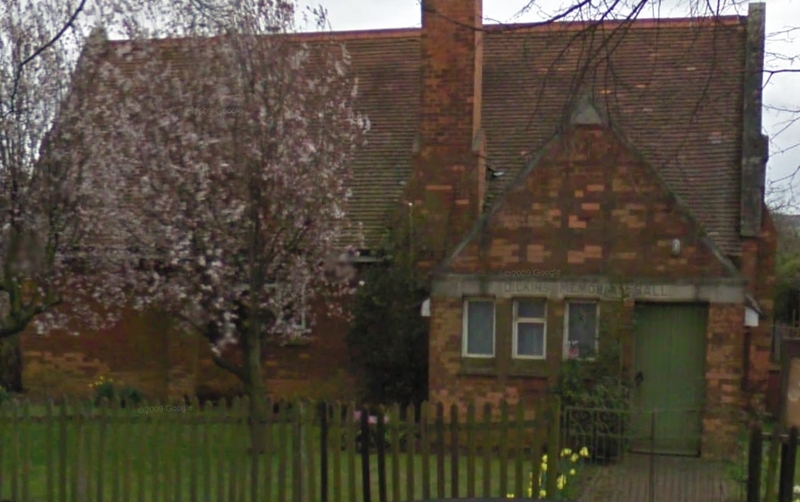 Edith was married into a strict, highly non-conformist (not quite as bad as the Knox variety of Presbyterianism) family: Methodists, who caused to be built the Dickins Memorial Chapel in Wellingborough, on the Finedon Road, next to which establishment were two houses where several of the family were raised. 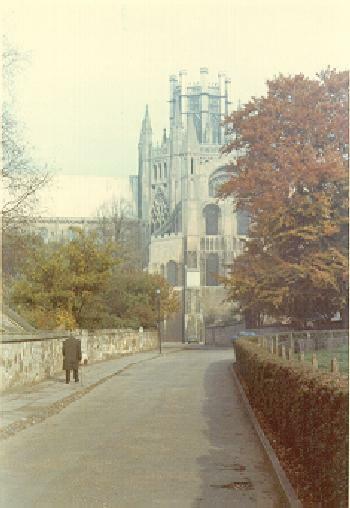 The Chapel is now a part of the Wesleyan Reform Union. 3. Edith's sister, Ethel, was born in 1886, and, married Fred Frost and had three children: Bill, Reg and Margaret. 4. 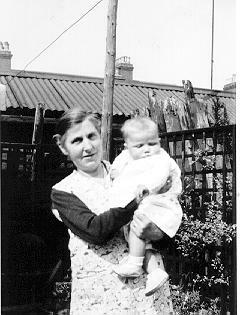 Edith had a younger cousin, Gertie, deceased, who married A. Norman Wood, born 1904. 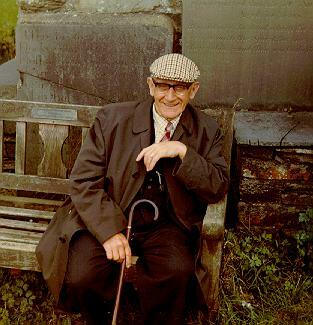 Norman (who became blind, and was approaching a century before he died) had a lady send Mum and Dad a Christmas card in 2001 and 2002, although Dad had thought him dead, since there wasn't one for 2000. They had a son, Richard, born in about 1937, who was a car mechanic, and emigrated to Johannesburg, Suid Afrika. I remember their house in Wellingborough, and their garden, which led to some allotments, where they had a couple of plots, where they also had chickens and an apple tree that had very large, very wet, sweet fruit. 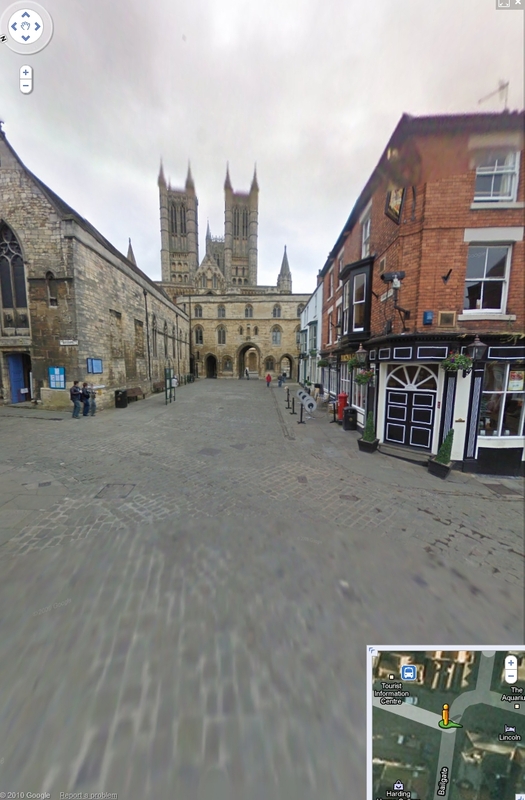 These first three satellite images, from Google Maps, show the chapel, and also Eastfield Street, and No10 is just down it on the left-hand side. The chapel is adjacent to the roadway passing by the large grey roof. 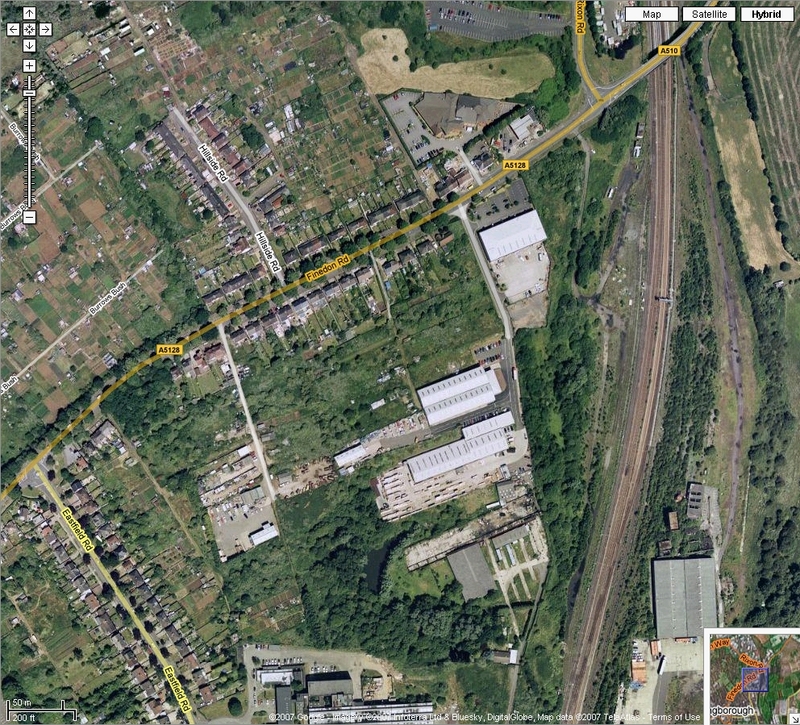 The fourth image shows the derelict train yards where Hubert and his father Arthur worked, and where the Beyer-Garrett steam engines were shedded before the results of the Beeching Report, for which see a potted history at http://en.wikipedia.org/wiki/Beeching_axe . 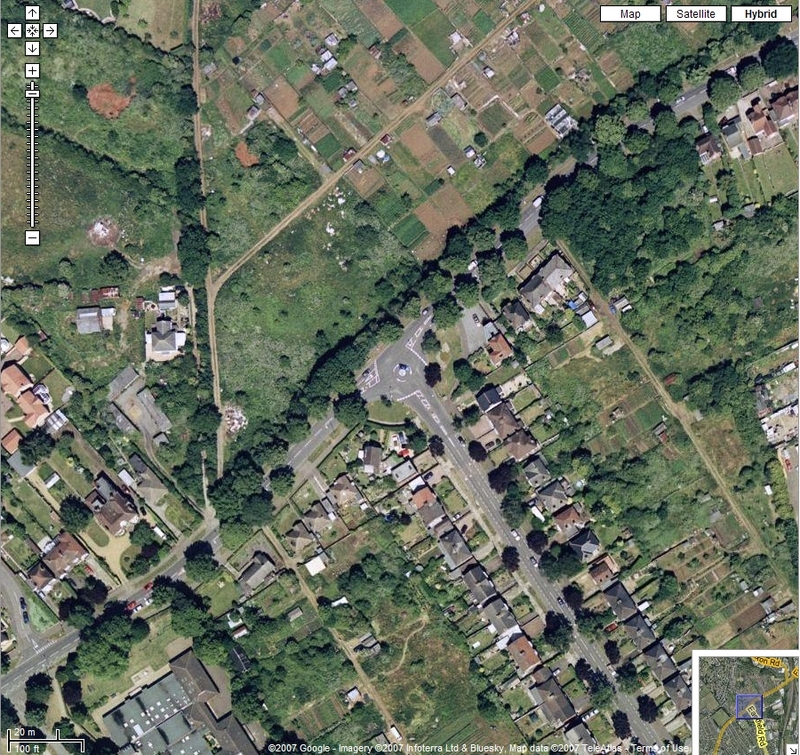 It is clear that the houses where my great-grandmother lived have been demolished, but they were close to the chapel, and reachable by a lane up from the goods yards. 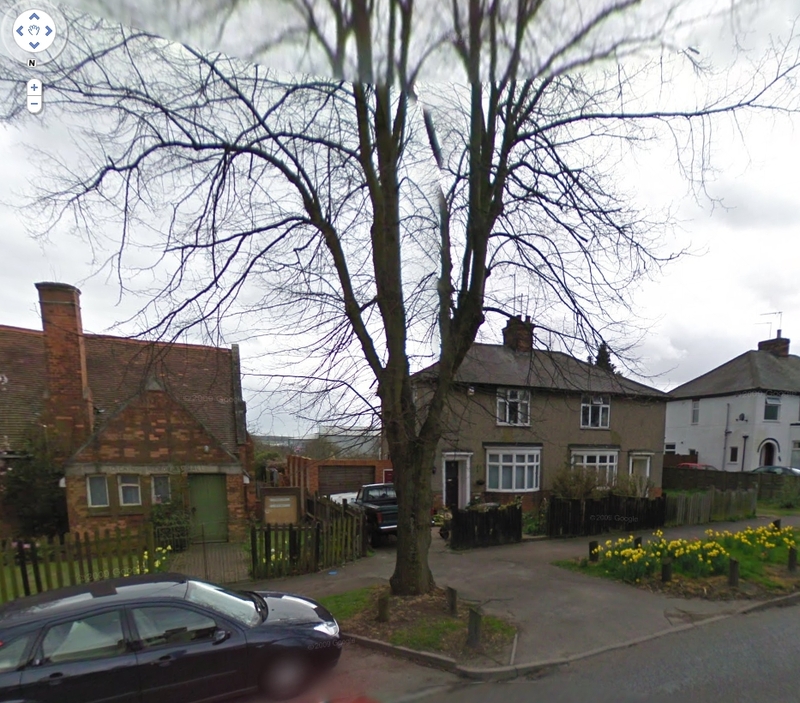 The image below shows the house that held Edith, Ernest's sister. A very long time since I have been there. Historically I had no idea what happened to everyone; my father never told me about them, either. But, the internet has changed everything. 5. Ernest Frederick, Edith's husband, had a sister, also named Edith, born 1891-2, with whom he was very close. She was a lovely lady, but my father admitted he was frightened of her!! She married Fred Faulkner, who served in submarines in WWI. 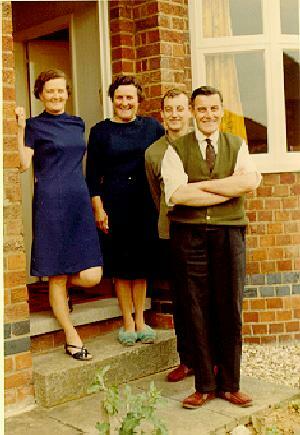 They had three children: Keith, who became a bank manager, Terence, and Sheila. I remember them clearly. Ernest also had a brother, Hubert, who married Lottie (Charlotte), & see above. He spent four years in the trenches in WWI. He was gassed twice, as well as being buried alive. He survived, in general ill health, for some time. He was a wheel tapper, in the Wellingborough train yards. 6. Ernest had an aunt, Belinda, who married a publican, heavens above! named Tom Millichap. Dad has inherited Tom's monogrammed walking stick. Now, it's mine! Made in 1873, and still in excellent condition. 7. 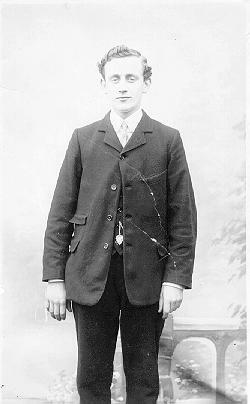 Now then, my Great-grandfather was called Arthur, and was an engine driver in the shunting yards at Wellingborough, and his father was named William, and that's all I know at this time. Except that I have Great-great-grandfather William's sickle (from the Latin secare, to cut). That has to be as old as the walking stick! Further to the above, I can remember Arthur's wife, who was named Martha, my Great-Grandmother. She it was who gave me a Bible for Christmas, 1942: not that I remember the actual event at nine months! I can remember walking up from the train station, alongside the tracks and then up a slope to her street, and then to her house, in a dark terrace, three or four stories high. I was never allowed higher than the ground floor, for whatever reason. 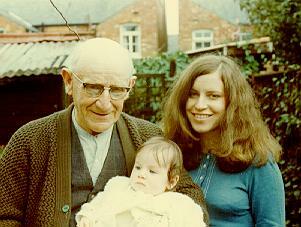 This was when I was fairly young, certainly before I reached double figures. In the thirties, the time of the Depression, only my father Raymond, as the youngest, was sent to Grammar School in Market Harborough. 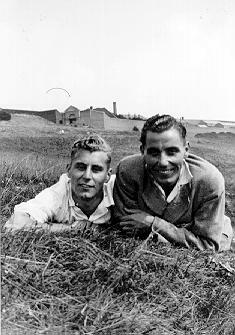 His father, Ernest Frederick, had a chat with Ken and Geoff about whether they would mind him going, since they had missed out because of expense. I also discovered that my Dad was given spending money every week by Ernest, and his two (working) brothers, Ken at Symingtons and Geoff on the railway. 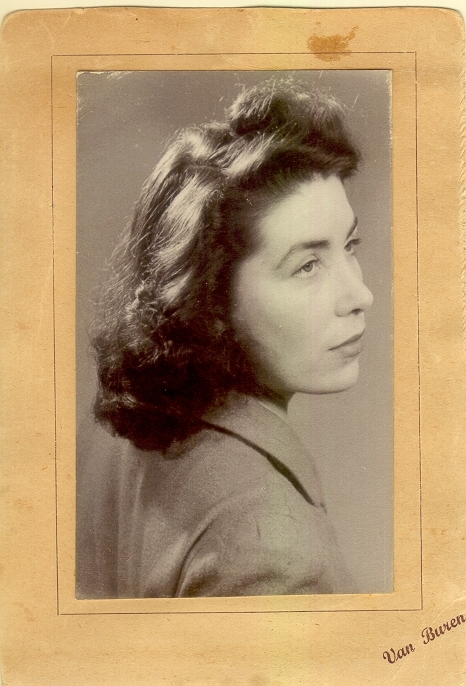 Edith would put the odd penny in, as well, when she sent it off to Loughborough College, where Raymond Ernest, my father, was a student teacher, pre-WWII. My father could not, otherwise, pay his bus fare to go and play in any of the college's soccer away games. He was generally positioned at left-half, but was able to play anywhere, a utility player. 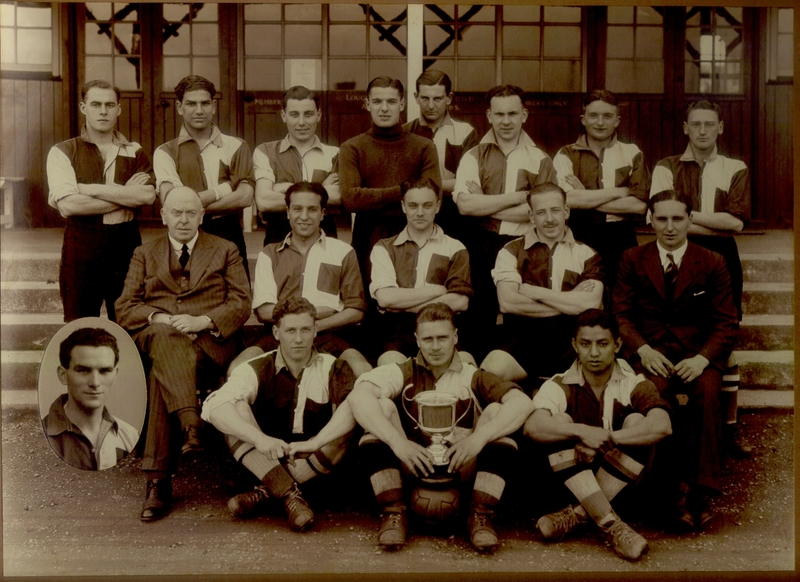 His team won the 1938-39 UAU Championship, 6-4, played in Aberystwyth. The college actually paid the fare for the final!! Lastly, at 42 Caxton Street, the neighbours: on one side the Bennetts, who I remember grew strawberries, and on the other Mrs Davey. Dad can't remember which one of the ladies was called Belinda, and which was Melinda. Nevertheless, one of each was! I do recall Mr Bennett telling my grandfather that he woke up to find his wife dead alongside him in bed. Tempus fugit. Ken, Colin, Ivy, her sister: left and with Peggy and Paul: right. 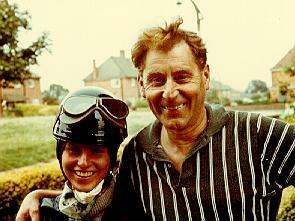 In the early to mid seventies, Harborough. 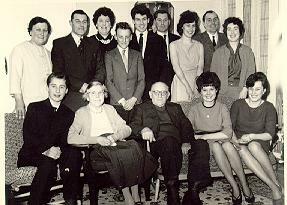 Left, below: Back row: Ivy, Ken, May, Colin, Paul, Geoff, Lynn, Ray, Peggy. Front row: Michael, Edith, Ernest, Sheila, Ann. And I still remember that there had to be two trifles. One was "off", we told Grandfather!! Sherry, of course! Right below: Same day, my 21st Birthday. Colours are related to the respective families, naturellement. 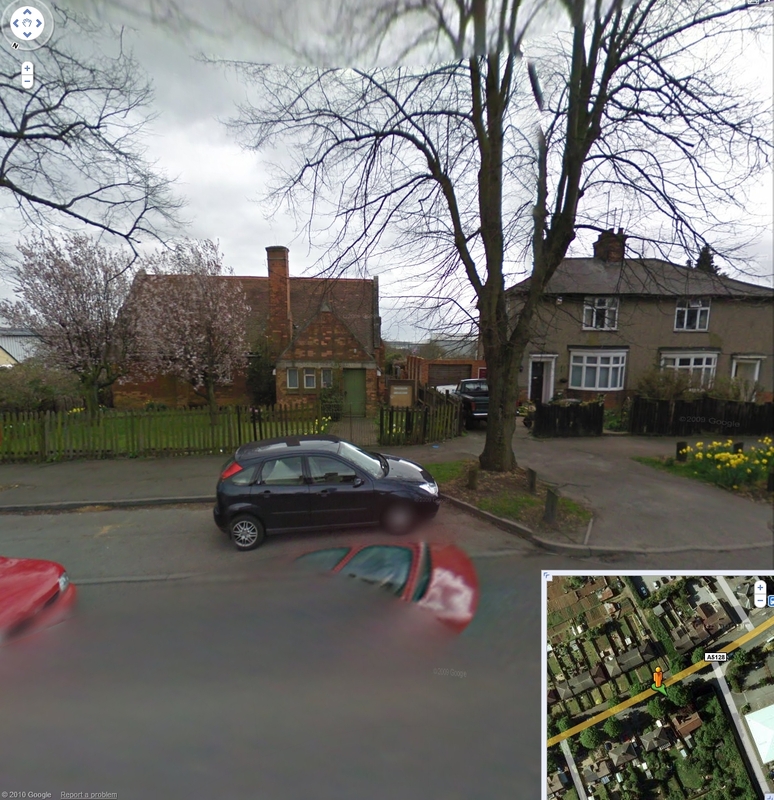 East Midlands, England, viz. Market Harborough, Leicestershire. The Old Grammar School, half timbered, next to the church, St Dionysius, built with Jurassic limestone. 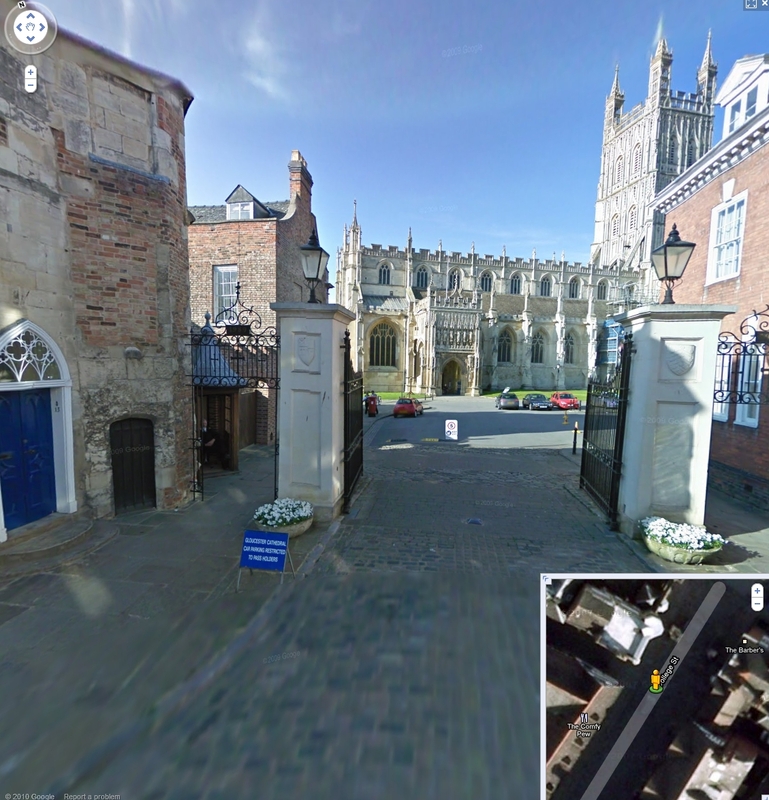 The area is geologically similar to the Cotswolds, although lower lying. Jurassic, of course. 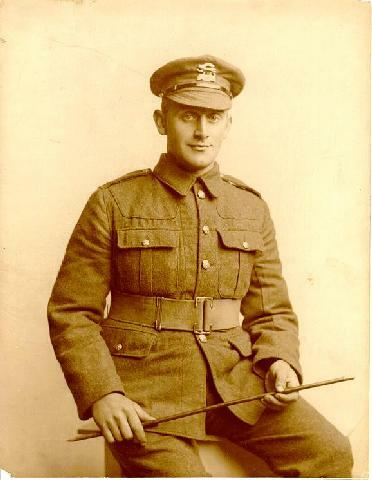 and shown in uniform, 1919 after having moved to Market Harborough early in the century. 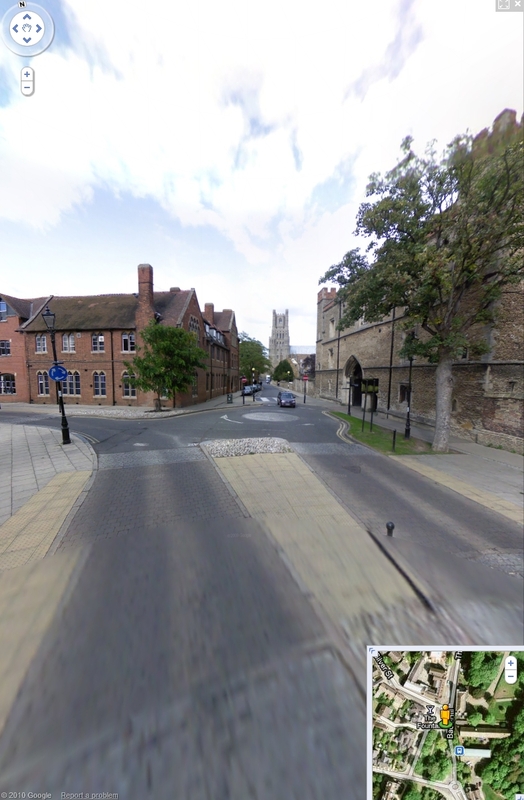 The above two shots are of EFD at Ely and, below, at Lincoln Cathedral. Two Cathedrals, one true Christian (Methodist Lay Preacher). Sistine Chapel: Michelangelo di Lodovico Buonarroti Simoni (1475-1564), showing one personification of God. This is the cleaned version: visit the Sistine. Plus, I wonder what happened to David Baker, Graham Manning and Michael Hayward who were at Little Bowden County Primary School, ca 1952. We were in the soccer team together and Mr. Ward was our teacher, and, I believe, a Mr. Davies was the headmaster. Miss Gleason, who had taught my father some decades before, taught me in turn in my early years. She told me, apropos of some clownish thing I must have done, that I would never be as accomplished as my father, Raymond, Ernest Frederick's youngest, and only remaining, son. I was standing on the high board in the old swimming baths on the Northampton Road when I was about 11 years old, ca 1953. Next to me was Peter Harris. I looked down and noticed a little boy lying at the bottom of the pool. He had lain there for a while and I had noticed he was not moving. Peter at first disagreed, when I mentioned this, but Peter could dive and I could jump so I told him to dive and bring the boy to the surface. Which he did as I ran for the caretaker. Clear as day, that memory. Read Peter's recollections (and other messages). 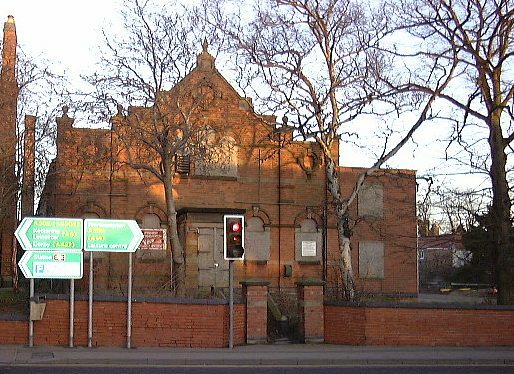 This is a late photograph of the Northampton Road Baths (courtesy Frank, of Bigfern fame). I can remember running up those steps to grab a cubicle, quickly change and jump right out into the pool. There was a time I wore swimming trunks that were far too large and they would be dragged off if I dove in. And now this old building has been demolished (replacement is an old people's home). Worn out, I do mean the building, but could no use be found for an historical artifact? 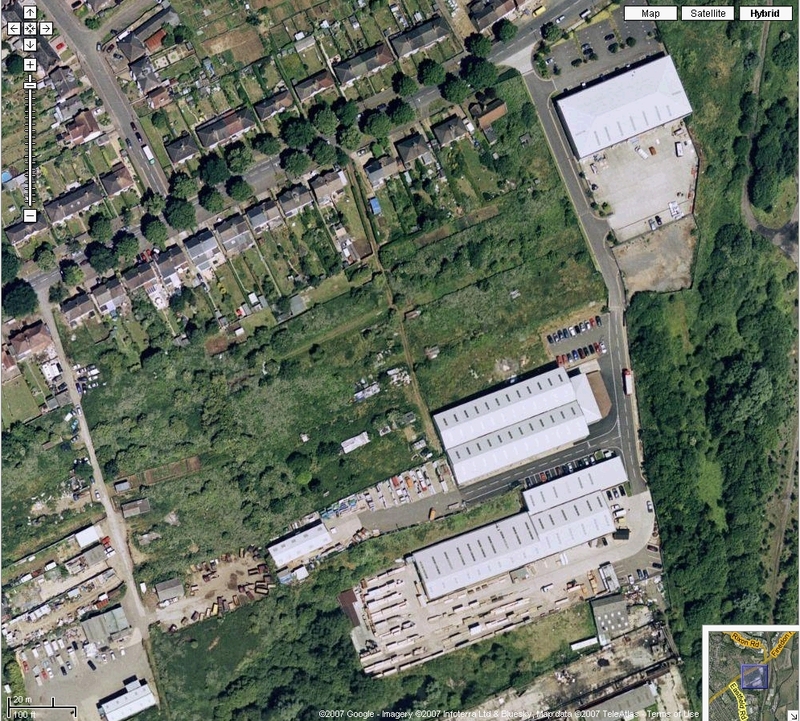 No wonder we are saddened when parts of our common heritage are stripped clean or utterly destroyed. Messages, emails and other information that you have sent is found here. Click here, if you are a glutton for punishment, to see other family pictures: Eire, Northern Ireland, England, Trinidad, Canada and New Zealand.